In this episode, we take a look at the other option: going back home after study abroad. Anushya replays her experiences in the classroom and together we unravel and try to understand some of the behaviour and tendencies that surface when you find yourself in a foreign land. The nature of freelancer life, linguistic identity and the purpose of grad school for an arts student are some of the topics that come up in conversation. (40:10) Sea of Hearts is a song written & performed by singer songwriter Chloe Bean specially for this project. For more of that lovely voice, head over to chloebeanmusic.com. 01:06 - Boy am I glad that I waited this long to talk about my experience! 02:47 - Anushya currently lives & works in Bangalore. She wants to do more photography despite the very real and unique challenges of freelancing in India include the expectation to work for free, limited spectrum (fashion, wildlife) and the secrecy amongst freelancers. 06:17 - When scouting universities for further study in photography in India, a big issue was entrance exams. She found SVA (School of Visual Arts) in New York while on vacation. 11:15 - Classroom experience in a foreign university can seem very impersonal. Anushya recalls a funny moment of feeling like a Ms India pageant contestant. I share my constricted state of mind as a first year grad and how my fear affected learning. 19:17 - New York with its freedom, people, and crowds reminded Anushya of Bombay and played a big role in adjustment. The freedom of choice that she now enjoyed, really stood out. Moving to Queens was a game changer and she now began to identify as a person of colour. 23:42 - Universities being 'white spaces' had affirmed my subconscious notion that America is white. 25:42 - We call out patterns of behaviour observed in some 'desi' + white interactions and Anushya wonders if it's because of this sudden freedom to be whoever we want to be. The reins on identity loosen as the urgency to fit in grows. 28:37 - English is a source of pride and all the initial hiccups of being corrected and asked to repeat yourself messed with Anushya's head. I wonder if this is something unique to students who come from countries with a colonial past. 31:23 - There's guilt that stops people from saying what's on their mind. 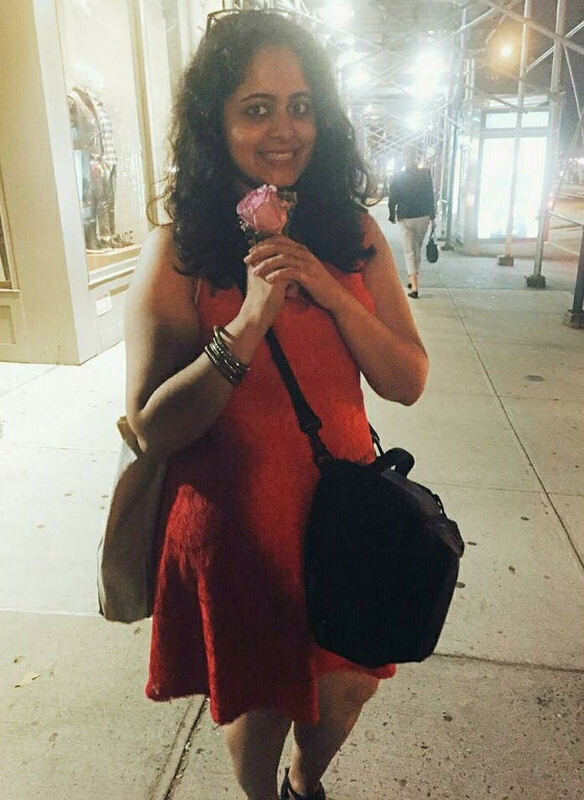 Anushya faced this firsthand when she tried to interview South Asian immigrants in Queens. 33:46 - Anushya defines success as being true to her art. Moving back is a trade-in of sorts that involves a lot of unlearning & relearning - definitions of personal space and reacting to stares for example. Personal assimilation is trickier. Self care is the advice for future batches. Season Two takes on 2 questions: what does it mean to be 'American' and what really is success? Tune into the FB LIVE WEBCAST: Finale on Sunday, Oct 15th. Anushya is a lens-based artist and communications professional, based in Bangalore. Her work is largely informed by an interest in identity, gender mobility and cross-cultural experiences. It's the list you didn't ask for (just yet) but the one you need! An international student navigates the dating scene with interesting results.